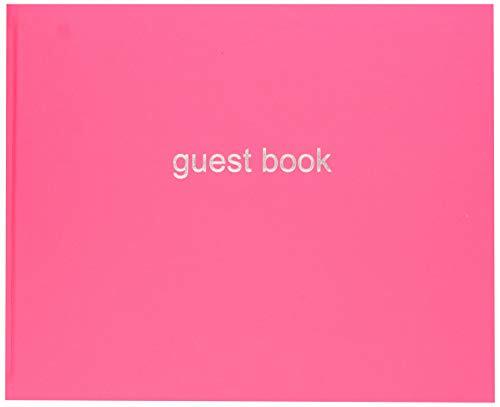 The Letts Dazzle Guest Book in fluorescent pink has a contemporary looking cover with metallic foil detail. It’s perfect for weddings, events, special occasions, guest rooms, B&Bs etc. The book contains 128 pages of white 90gsm paper from sustainable sources. It also features a black ribbon page marker and black end papers. If you have any questions about this product by Letts, contact us by completing and submitting the form below. If you are looking for a specif part number, please include it with your message.